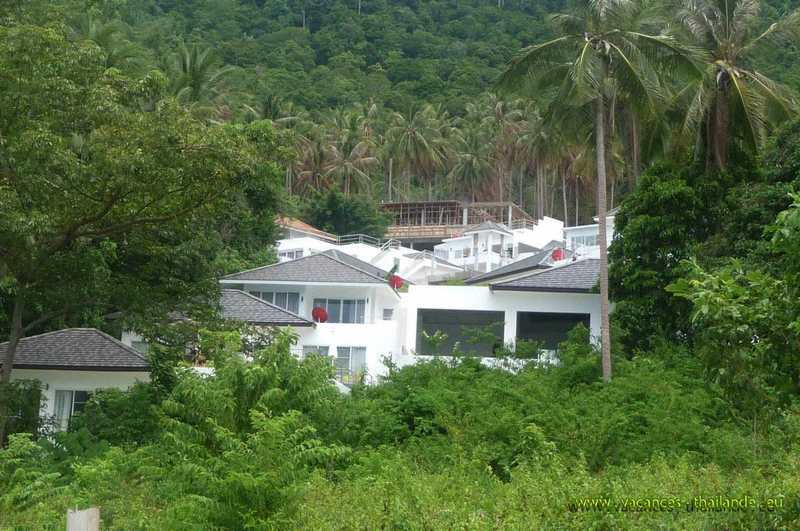 "photo 22 English Koh Samui thailand group of villas with pools in the forêt"
We offer rental of our house in Koh Samui 3 rooms for 6-7 persons with private pool and offers a wide range of products and services tailored to your requirements. We are here to assist you and advise you competently and professionally. Do not hesitate to call our team, they will be happy to help you! The island Koh Samui is located in the southern Gulf of Thailand, rich in beaches and coconut trees. There is a hot water washes over 20 beaches and coves with or without world. Markets day and night Koh Samui you will eat for cheap, if you want. You can get a massage in many Thai massage parlors. reservation on several villas on the same complex Residencial standing. Microwave, fridge, electric hob, necessary for complete cooking. Free wifi internet connection, sofa, flat screen TV 40 ", DVD player. Bathroom 1: Shower, WC, towels, in the private room, Bedroom 1) ..
Bathroom 2: Shower, WC, towels, (Room 2 and 3). 3 large air-conditioned rooms and large French windows. Bedroom 2: 1 Queen size bed, large wardrobe, dressing table, cupboards, with private bathroom and WC. Bedroom 3: 1 Queen size bed, large wardrobe, dressing table, wardrobe, shared bathroom with toilet. Roof terrace (roof) 5m x 7m with sunbeds, tables and chairs. Small private pool on large terrace. You can provide a shopping list before you leave, your products will be available in the house upon arrival, only for the first day. Upon arrival at the airport, a taxi waiting for you and takes you directly to the villa where a person speaking French and English and makes you receives the keys. Maid and linen change: 2000 Thai Baht extra cleaning. Laundry: 50 Thai Baht / kilo. Thai cuisine on demand at home. Delivery of Thai and European home in the evening. Possibility to rent a car and motorcycle or scooter. Warning: Car prices and models of vehicles may vary according to the seasons. prices to rent large studio with paypal view the bay with sun until 12 am. studio kitchenette with kettle, toaster, coffee maker, microwave and dishwasher full..